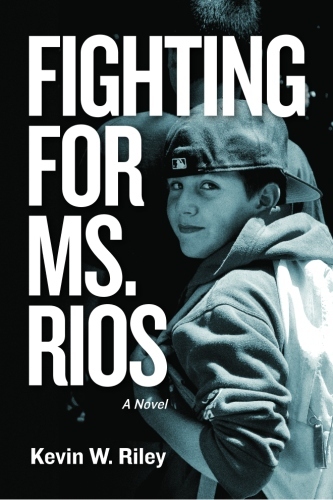 Miss Rios | "El Milagro Weblog"
In December, Fighting For Ms. Rios was released in both paperback and Kindle formats. It is a fictional collection of journals written by a gifted fourth grade student named Aiden, about his school, his friends, and his inspiring first-year teacher– Ms. Rios. I have resurrected my blog to break down some of Aiden’s many stories and themes… all observations about our schools from a child’s point of view. Christmas lives. In spite of the best efforts of the ACLU or whoever else is as busy as one of Santa’s disgruntled little elves trying to dismantle Christmas and remove it from all mention in public schools– it is still mentioned. Frequently. And celebrated. That’s the thing with Christmas. We aren’t supposed to talk about it in our schools because we don’t want tax payer dollars expended to propagandize any one faith. 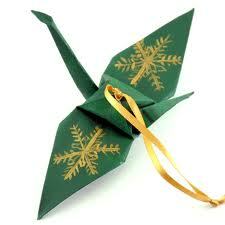 No Christmas carols, Christmas trees, Christmas Santa Clause scenes, or Christmas Tannebaum art projects. It’s one of those holidays that we are supposed to whisper about as an odd tribute to all the people that don’t actually celebrate Christmas. As if children aren’t aware of the imminent arrival of their favorite day of the year. But for Ms. Rios, even the arrival of Christmas presents itself as a teachable moment: there is more to December than racing to the shopping malls to contribute to stimulate the economy. There is much to unwrap in Fighting for Ms. Rios. Aiden is unconstrained by political posturing. For him, Christmas lives. Now that my book is published and available (even for your iPad) through Amazon, I want to resurrect my blog. There are a lot of really good posts here. So I’ll highlight different stories from Fighting for Ms. Rios and connect them back to a previous post. It all comes full circle anyway. Aiden is clearly blessed with many talents: he is an amazing writer, of course. He is athletic. He seems to have a sixth sense when it comes to adult culture in schools. And he is quiet capable of defending himself in a fistfight. Other interesting talents emerge from time to time– but one of the more peculiar ones is his awareness of when he is invisible to adults. It’s hard to tell how literal Aiden wants his readers to take these passages, but they are definitely there for a reason. On his first day at school, on the blacktop, he hears a conversation between a teacher and a parent. How does he hear it? I always seem to overhear those kinds of conversations between adults—maybe because I am invisible to them. He overhears Wanda and Ms. Rios speaking about Raymond. And later, when Craigy gets himself in trouble for bringing a knife to school (Carving Up Craigy), much of Aiden’s narration comes from being invisible. I wondered how I could have sat through that entire conversation and how it never once occurred to Señora Principal Nuñez or the Compliance Director to send me back to class. But I guess it didn’t. And I remained strangely, invisibly, witness to every word. Perhaps it’s just a sneaky literary trick that Aiden is invisible and privy to information that normal kids wouldn’t have at school– if it weren’t one troubling detail. They are often invisible. Adults run the place. They call the shots. They determine who comes and who goes and at what time kids eat and go to the bathroom and play with their friends. It’s all about command and control. And when the adults step off-stage they do so in places where the kids aren’t allowed to go: the office or the teacher’s lounge or the lunchroom or parking lots or the fast food restaurant down the street. Some of this is just a matter of practicality. Adults in the workplace have different needs and privileges than children in a school. But what does it mean when a child feels invisible in his own school? He has no value? No relevance? Nothing to offer? No wonder Aiden is so insistent that the adults know his name! Schools often describe themselves as being student-centered– they aspire to focus all their attention and all of their decision-making around what is best for their students. That is a worthy mission. But if they could hear their students speak, if the truth was made manifest, how many are falling through the cracks and chasms simply because they are invisible? Sometimes kids don’t know much… but they know the sound of their own name. They know it’s sacred. It gives them an identity on a crowded campus when the day-to-day grind of school life is eating them alive. In Juvenile Hall and in the schools for our incarcerated youth that are hidden away in the back country here in San Diego, I was always pushing back on the practice of calling students only by their last name. Like they were in the army. Or prison. Every kid has a first name– we call it their given name because somebody took the time give it to them. It is so unique, it even distinguishes them from other members of their own family. It may be common or cosmic or utter syllabic nonsense– but it is theirs– and they want us to use it. They want us to pronounce their name correctly, too– like their moms pronounce them. With respect and reverence. Aiden is on to the adults who don’t know his name. You can’t fake it. You know their names or you don’t. And knowing their names is the first step to building authentic relationships with kids you hope to teach.